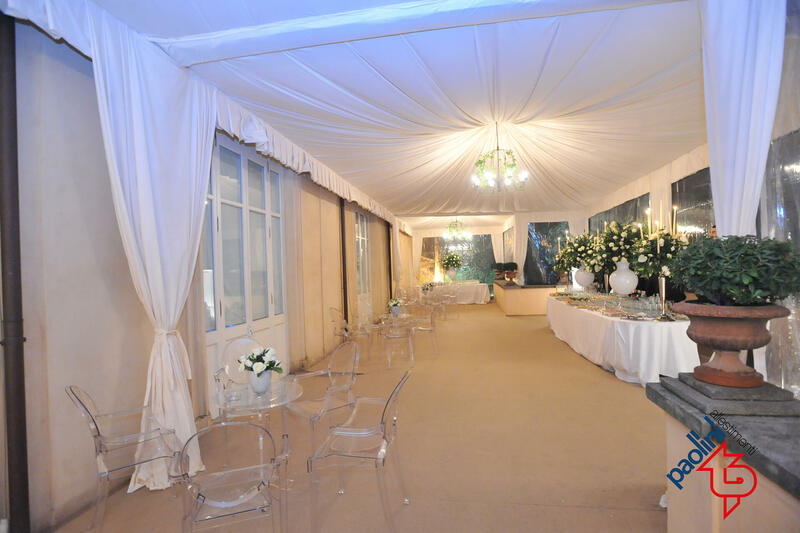 Gran Galà event tents, with an elegant visual impact, create a refined atmosphere, a classic allure immediately recognisable as a stylish setting, ideal for institutional events, weddings, private dinners and all kinds of parties. 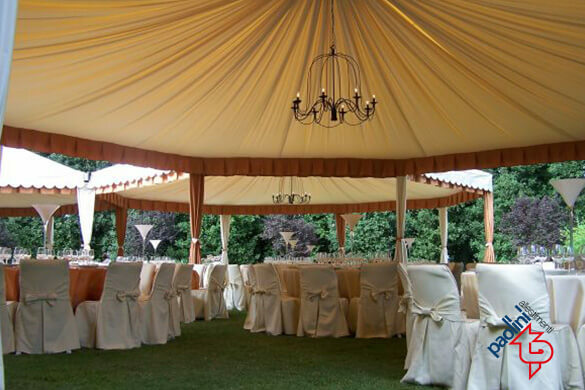 Gran Galà tents are tensile structures made with galvanised iron painted dark grey with the cover made with a PVC sheet available in ivory colour or white. 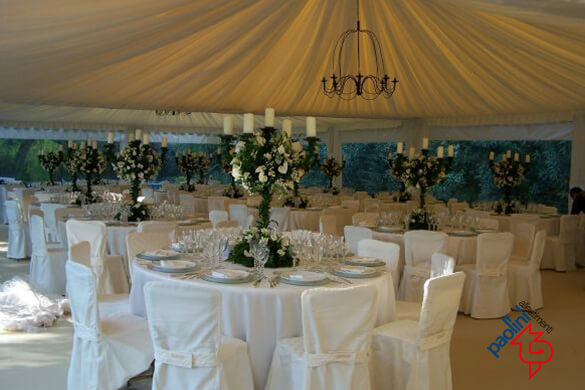 They can be equipped with perimeter walls, available in white, ivory coloured or clear and false ceilings made with white or ecru fabrics. 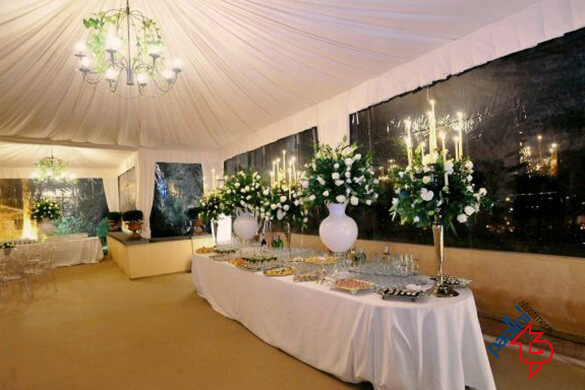 The lighting choice for the environment, which can be customised according to customer needs and the kind of event, helps to enhance the feeling of refinement. 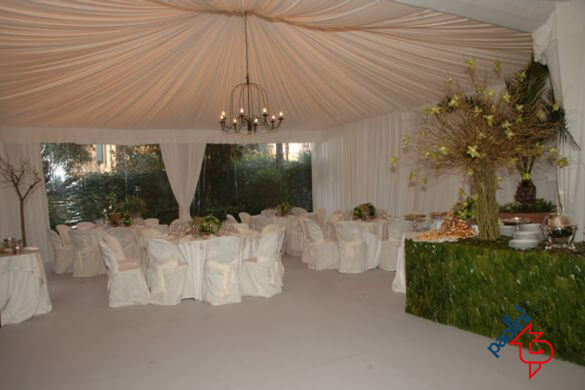 If the need arises, Gran Galà structures can be equipped with a wooden panel floor laid on a galvanised steel structure and covered with carpeting or other material. 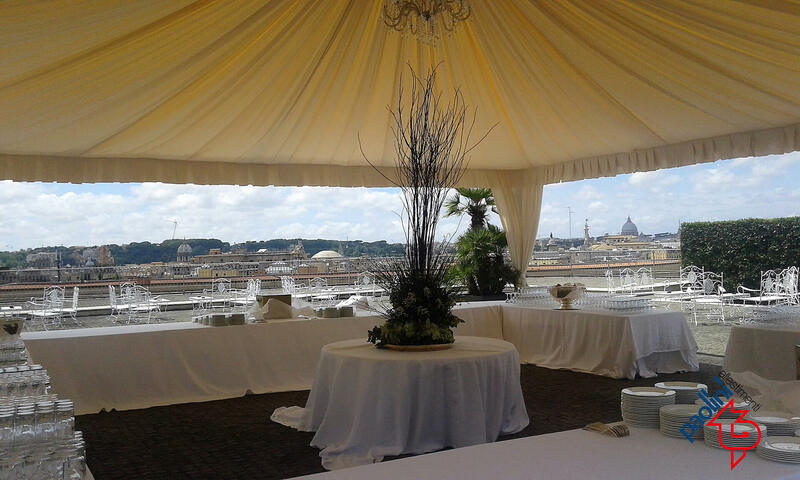 The heating and cooling systems of Paolini Allestimenti ensure that the events take place in the best conditions in any season of the year. 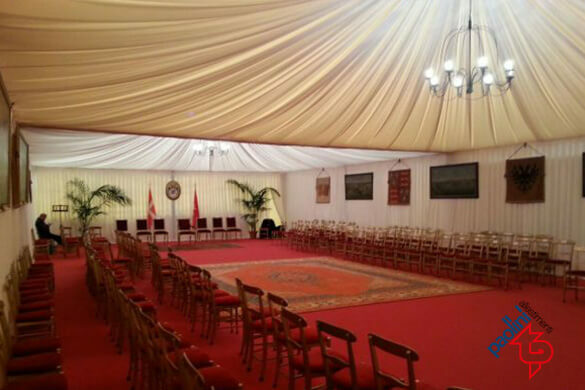 All materials used for the construction of Gran Galà event tents comply with the law and the installation procedures are carried out in accordance with all current safety regulations. 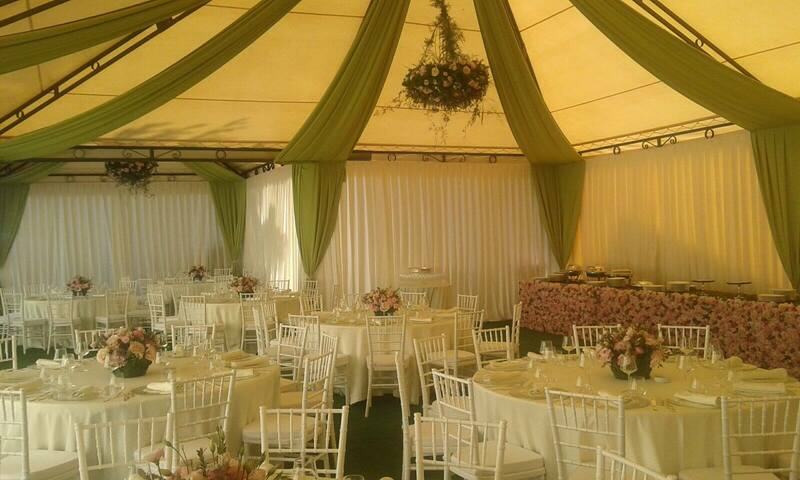 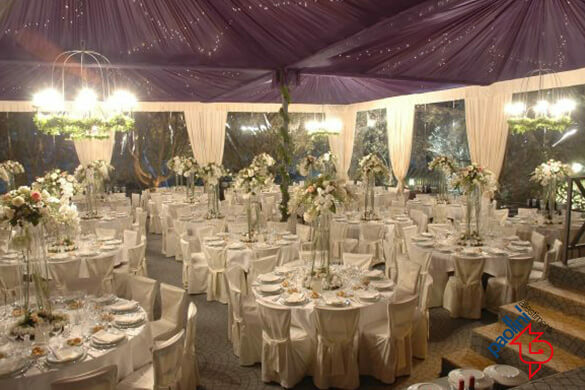 Gran Galà is a tent that allows you to make a corporate or institutional event or a private party both refined and classy, thanks to the distinctively soft drapery of the fabrics.